Dangerous pathogens. Swimming pools may contain dangerous microbes, especially if they are unsanitary. Pathogens such as coli, rotavirus and Salmonella can infect swimmers. Although very rare, unsanitary swimming pools may also contain the “brain-eating amoeba” (Naegleria fowleri). Electrical hazards. Poor maintenance practices and defects can cause electrocutions. Underwater lights, filters, pumps and other equipment can deliver deadly electric shocks. Plugged in electronic devices can also cause electric shocks when they come into contact with water. Slippery surfaces. The areas around swimming pools can become slippery. Wet surfaces may lead to slip and fall accidents. These accidents are more likely to result in death or serious injury when they occur on elevated surfaces. Poor lighting or inadequate signage. Some swimming pools have poor lighting, which might conceal shallow water. Swimmers could dive into the pool without realizing the water is shallow. Diving accidents are a cause of spinal cord injuries. Noncompliant drains. Some pool drains can eviscerate or drown swimmers. Last month, a pool drain’s suction power drowned a young South Carolina boy. Pool drains should be compliant with The Virginia Graeme Baker Pool and Spa Safety Act, a law created to prevent deaths caused by pool drains. We have only scratched the surface on this topic. There are other reasons why swimming pools lead to accidents each year. For instance, poor supervision is a cause of accidental drownings involving young children. Future blogs may go into more detail on these hazards. Who Is Liable for a Swimming Pool Injury or Death? Liability for a swimming pool injury or death depends on the circumstances. Property owners, businesses, pool maintenance companies and product manufacturers are examples of parties who might be liable. It may be possible to recover compensation in cases where these parties are liable. If you or a loved one suffered harm at a public or private swimming pool, then we encourage you to speak to one of our attorneys. 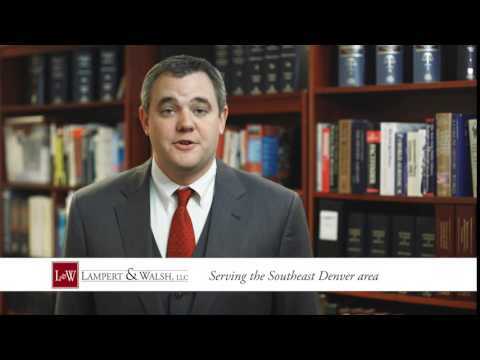 The Denver premises liability attorneys at Lampert & Walsh, LLC could help you determine whether it would be possible to recover compensation for your injury or loss.